Facebook wants you to spend more time reading news on Facebook. The company is testing a feature that would allow users to save links shared inside Facebook to a list for later reading, according to recently surfaced mobile screenshots. The functionality is quite similar to the popular apps Pocket and Instapaper. “We’re constantly testing new features, but we have nothing further to share at this time,” a Facebook spokesperson told AllThingsD. The feature, which was pointed out to AllThingsD by the technology blog MyTechSkool, comes in the form of a small iBook-like bookmark button attached to stories shared in the News Feed. 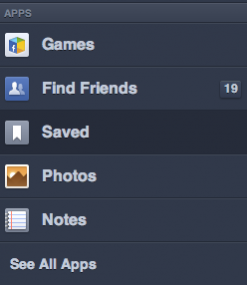 Click the button, and the link will be set aside in a “saved” menu inside a user’s Facebook apps menu. Facebook has made it clear that it wants to play more of a part in how people use the social network to discover and read articles from third-party publishers. In a redesign to its News Feed over the last year, more prominence and visibility has been placed on articles shared on Facebook (though this redesign, for whatever reason, has not yet rolled out widely to all users). “We want to give everyone in the world the best personalized newspaper in the world,” Facebook CEO Mark Zuckerberg said at an event earlier this year. The company is also reportedly building its own newsreader-like feature, according to The Wall Street Journal — a further attempt to make Facebook a destination for media content and discovery. This recent test is apparently the second iteration of a “save for later” feature, though earlier efforts were less visible and not as easy to understand and use. 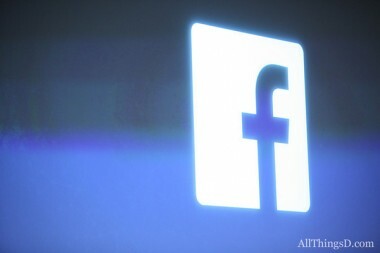 It is unclear how many people are seeing the new feature, or if Facebook will choose to roll it out in a wider release.